This total is far too low given how close the matchup has been between these players in the past. Azarenka leads the head-to-head 7-3 but Over 20 Games is 8-1-1 in the 10 meetings, neither player has huge weapons and both will break serve at relative ease while struggling to hold their own at crucial moments. 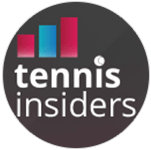 The courts in Miami are playing medium-slow meaning neither player will be able to hide their weaknesses on serve, Azarenka is overrated by the oddsmakers due to past successes and while Cibulkova has started the year slowly three of her four defeats have come in a deciding set.